Q. What is Avataaras (Incarnations)? At the Lotus Feet of our Beloved Swami. We woulod like share with you the meaning of an Avataara’s and Bhagawan, Script by Karma Yogi Bakathinanda. A. We have heard of “Aarohanam” and “Avarohanam” in music. The former means the cadence moving from a low pitch up to a high one; the latter means the cadence coming down from a high pitch to a low one. “Avataara” means the Lord who is in the highest realms of Paramapadam chooses to come “down to earth”. This descent is called “Avataara”. Q. WHO IS THIS BHAGAVAN? A. Bhagavan has been defined as one who possesses all the six essential qualities of Jnaana (Knowledge), Sakti (Power), Veerya (Valor), Tejas (Brilliance), Bala (Strength) and Aiswarya (Lordship). Ahirbudnya Siva himself says that it is only Sriman Narayana who possesses all these six qualities. Q. WHY SHOULD BHAGAVAN TAKE “AVTAARAS”? “To protect the virtuous, to destroy evil and to establish “Dharma’I recreate myself in every Yuga”. Q. HOW MANY TIMES HAS HE TAKEN “AVATAARAS”? A. “Avtaaraa: asankhyeyah” – Avataaras are countless. There is a saying that the Lord Himself has not kept a tab on the number of Avataaras He had taken! Down from the Vedas to Puraanas, as many as 100 + Avataaras have been identified but only 10 as the main Avataaras. Q. WHY NO AVATAARAS SO FAR IN SPITE OF THE FACT THAT IN THIS YUGA IS SAID TO BE WORST? A. For this, we have to look at the length of Yuga reckoning. Q. Will I have to Donate money to be a member? A. No. We don’t charge you anything for being a member. Q. I am an Atheist, but I liked your social dedication. Can I join? A. Yes. You can. It is not necessary that you should belong to a particular religion or no religion to do some good work. Q. What if I want to leave in the middle? A. Our doors are open. You can enter and exit anytime. We won’t force you for anything. Q. What are the timings when you work? A. We have no restrictions of timings. We work when ever we have time, usually during weekends. Even attendance is not necessary. 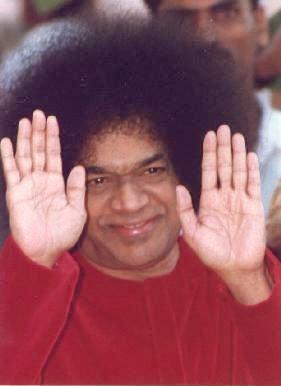 is Sai baba puttaparthi always available for visiting or is he availble in specific time? can u give me sai bhajan dal in vasco,i would like to join them……….